Who doesn’t want a piece of history? Whether it is a signed glove or an autographed picture, if it came from your favourite boxer then it means something to you. 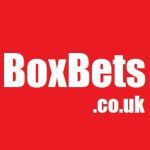 Boxing memorabilia is always in high demand – they make excellent gifts, great mementos to hold onto, or perhaps something you can make money off by selling it later. Whatever item you want or whichever boxer signed it, we can assure you that all our items are genuine and from totally reliable sources. If you buy something autographed by Mike Tyson, then rest assured it is Mike Tyson’s autograph! Do remember to check this page often as you will see various new items appearing all the time. Worth noting is that certain products are in high demand and don’t stay around for long. If you see some piece of boxing memorabilia that you really like, then buy it ASAP because there will be a lot of collectors looking at the same things as you! We love boxing, as you can probably tell from a quick peruse of our site, but we sometimes wonder where it all began. This is one of the older sports in the world, with accounts of men fighting each other in the ring dating all the way back to the Ancient Greeks. The Greek author Homer, writer of the famous Iliad, created a written record of boxing thousands of years ago. It became much more popular during Roman times, as they loved watching fighters pit themselves against one another. This ancient form of boxing was still characterised by covered fists, but would often result in fights to the death. After the Fall of Rome, boxing disappears from the history books almost entirely. Spectator sports as a whole took a bit of a dip post Roman era, as days at the colosseum became a thing of the past. It resurfaces in the 18th century, when English champ James Figg drew in the crowds. He held the heavyweight title for over 10 years from 1719 onwards. This was what some think of as the Golden Age of boxing, back then it was a real workingman’s sport. The organisational side of things left a lot to be desired, and you would be forgiven for thinking that these matches were nothing more than street fights. This was simple boxing, two men fighting against one another, without many rules. The second heavyweight to take the title, Jack Broughton, began to draw up rules for his own fights and these were later recognised in 1743. This took out some of the more vicious aspects of the sport, for example hitting below the belt like. He also gave the fighters more room to box, by setting out a set area. The rules remained largely unchanged from 1743 to 1866, when the Marquess of Queensberry supported new rules. These limited the number of rounds and made wearing gloves a mandatory requirement of the game. While this didn’t immediately stamp out bare-knuckle boxing, it did see a sharp decline in popularity. While bareknuckle boxing was declining, the boxing that we know today was on the up and up. Within the UK and the US, fighters and spectators were on the rise. New weights were introduced in order to make the sport more accessible and put fighters on an even par. This opened up the world of boxing to those that would not have previously qualified as a fighter. Attempts have been made over the years to outlaw boxing entirely as it has been dubbed a dangerous sport. Notably, the death of Duk Koo Kim, a South Korean boxer, in 1982 prompted outrage. Physicians called for a ban on boxing as it was deemed simply too dangerous for the general public. While this wasn’t successful in banning boxing, it did lead to an improved medical response at the ringside. The introduction of televised fights also brought a lot of notoriety to the sport. It catapulted fighters like Ali and Marciano to fame and fortune, which in turn made the sport even more popular with viewers. Fights in Las Vegas have historically raked in cash and been televised to eager viewers around the world. While the UK and US got in on the boxing fervour early, other nations are now producing top quality fighters of their own. Latin America and Asia tend to produce some successful fighters in the lower weight classes, which are now becoming more popular with viewers as a result. With improved communications and advertising through social media and livestreams – it’s safe to say boxing is demanding more attention than ever. As we have now moved into the 21st century, it’s all about British boxing. With champs facing off left, right and centre in the UK, the sport is going back to that Golden Age. We’re also coming closer to just one heavyweight holding all four belts, which would be a massive coup for British boxing. We’re seeing a new breed of boxers appear, which seems to appeal to the viewer’s psyche. With the outlandish behaviour of the likes of Floyd Mayweather generating a lot of buzz, it’s clear to see that behaviour out of the ring is also having a large effect on our perception. Fighters like Mayweather are characters and celebrities in their own right, commanding more public attention than their predecessors. With monumental fights already on the books this year, it’s bound to be a great one for boxing fans. We’re not likely to see a lot change within the regulation of the sport, but we’ll likely see some serious shifts in the world rankings and titles. We’ll see fighters make and break their careers over the year, as well as millions earned in sponsorship deals.